Despite a recent easing of Sino-Japanese tensions, Beijing continues exploration and production of sensitive oil and gas resources in the East China Sea over Tokyo’s objections. Most recently, China deployed an unidentified jack-up rig—a common type of mobile offshore drilling unit—to waters at the northern end of its chain of oil and gas platforms in the area. Those platforms tap oil and gas basins that straddle the median line between the two countries, which Japan provisionally claims as the boundary between its continental shelf and that of China (for more background on the dispute, see our earlier post, below). 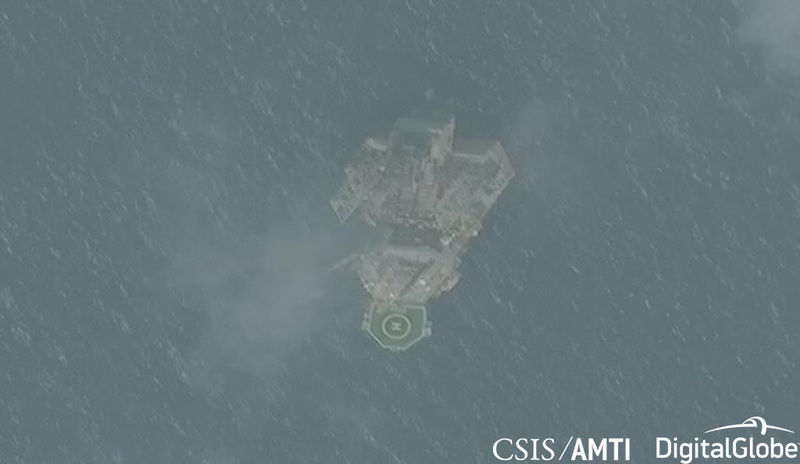 AMTI satellite images show the newly-deployed jack-up rig presumably engaged in exploratory drilling since at least June 25, though not in earlier imagery from April 15. Mobile jack-up rigs like this one are used both for exploratory drilling and for work at existing offshore platforms. Before new drilling, a jacket is installed on the seafloor, which serves to guide the drilling. The rig is then towed into place nearby, its derrick positioned over the jacket, and a well drilled. Last year, China deployed three other jack-up rigs to the area, identified by their automatic identification system (AIS) signals as the Haiyang Shiyou 942, Kantan Qihao, and Kaixuan Yihao (see below). In the case of Haiyang Shiyou 942, satellite imagery from June 2017 captured not only the jackup rig, but also the vessel that had installed the jacket. Two of the three jack-up rigs deployed last year—the Kantan Qihao and Kaixuan Yihao—have been removed from the map. 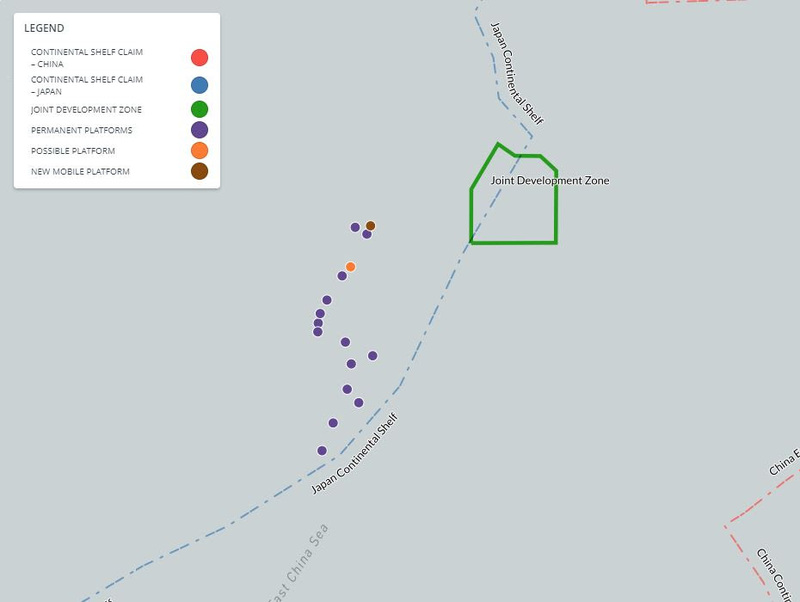 AIS shows that they have left the area, and subsequent satellite imagery shows no platform or jacket at the site, indicating it was removed after exploratory drilling. The third jack-up rig, Haiyang Shiyou 942, has also left the area according to AIS, but AMTI has not been able to confirm whether a wellhead platform was subsequently constructed at the site. It is marked as a “possible platform” on the map for the time being.